One is done and the other is on its way. 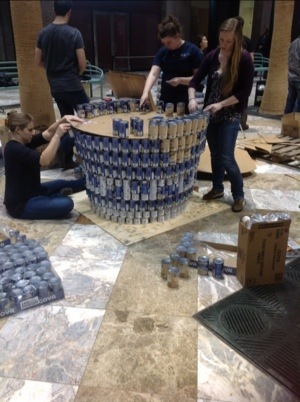 Hopefully the morning will show some differences- other than the labels! 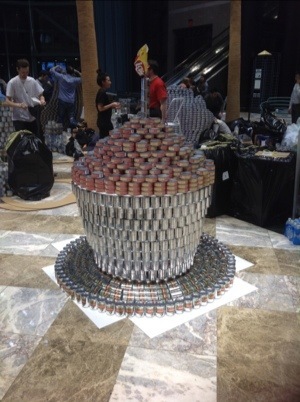 This entry was posted in Design, LIVE!, Out and About and tagged 2013, Canstruction by Pollyanna. Bookmark the permalink.